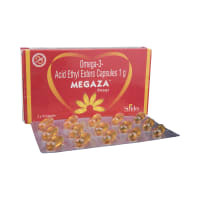 Oditel 40 mg Tablet is used in the treatment of high blood pressure. Take this medicine in the dose and duration as advised by your doctor. Swallow it as a whole. Do not chew, crush or break it. Oditel 40 mg Tablet may be taken with or without food, but it is better to take it at a fixed time. Oditel 40 mg Tablet is an angiotensin receptor blocker (ARB) and PPARγ-agonist. It relaxes blood vessels by blocking the action of a chemical that usually makes blood vessels tighter. This lowers the blood pressure, allowing the blood to flow more smoothly to different organs and the heart to pump more efficiently. It is unsafe to consume alcohol with Oditel 40 mg Tablet. Taking Telmisartan with alcohol may excessively lower the blood pressure. Oditel 40 mg Tablet is unsafe to use during pregnancy. Oditel 40 mg Tablet is probably safe to use during lactation. Limited human data suggests that the drug does not represent a significant risk to the baby. Oditel 40 mg Tablet may make you feel dizzy, sleepy, tired, or decrease alertness. If this happens, do not drive. Oditel 40 mg Tablet is safe to use in patients with kidney disease. No dose adjustment of Oditel 40 mg Tablet is recommended. Oditel 40 mg Tablet should be used with caution in patients with liver disease. Dose adjustment of Oditel 40 mg Tablet may be needed. Please consult your doctor. Use of Oditel 40 mg Tablet is not recommended in patients with severe liver disease. What if you miss a dose of Oditel Tablet? If you miss a dose of Oditel 40 mg Tablet, skip it and continue with your normal schedule. Do not double the dose. You have been prescribed Oditel 40 mg Tablet to improve your blood pressure. Do not take it during pregnancy or breastfeeding. Tell your doctor if you conceive while taking Oditel 40 mg Tablet. Do you have any questions related to Oditel 40 mg Tablet? Q. Does Oditel cause weight loss? Weight loss has not been reported as a side effect of Oditel. Talk to your doctor if you experience excessive weight loss while taking this medicine as this could be due to some other underlying condition. Q. Can Oditel cause headache? Oditel is not known to cause headache. Please consult your doctor in case you experience headache when you are taking Oditel. Oditel is safe if used in the prescribed dose and duration advised by your doctor. Q. What is Oditel used for? Oditel is used for the treatment of hypertension (high blood pressure). Oditel reduces cardiovascular events (i.e. heart attack or stroke) in adults who are at risk because of reduced or blocked blood supply to the heart or legs. The risk is high in people who have had a stroke or in high-risk diabetes patients. Q. Can I take Oditel with paracetamol? Yes, Oditel can be taken with paracetamol. As per the reports, using the two medicines together does not change the working of Oditel. Their usage does not cause any severe side effects. Q. Does Oditel cause cough? 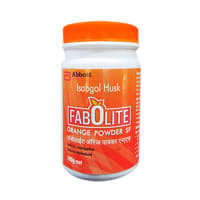 Use of Oditel can cause cough but this is a very uncommon side effect. Please consult your doctor in case you experience a cough while taking Oditel. Q. Does Oditel cause erectile dysfunction? Oditel is not associated with erectile dysfunction. Please consult your doctor in case you experience this problem while taking Oditel. Q. Can the use of Oditel cause hyperkalemia (increased potassium level in blood)? Yes, Oditel can cause hyperkalemia (increased potassium level in blood). A regular monitoring of blood potassium levels may be advised by your doctor while taking this medicine. Q. Can the use of Oditel cause weight gain? No, weight gain has not been reported as a side effect of Oditel. Please talk to your doctor in case you experience an excessive change in your weight while taking Oditel. Q. Can the use of Oditel cause hair loss? 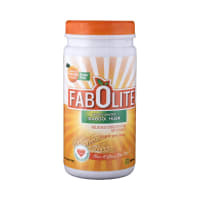 No, hair loss has not been reported as a side effect of Oditel. This could be due to some other cause or condition. Please consult your doctor. No : 122 VINAYAKA LAYOUT, MARANAHALLI, VIJAYA NAGAR, BANGALORE 560 040. A licensed pharmacy from your nearest location will deliver Oditel 40mg Tablet. Once the pharmacy accepts your order, the details of the pharmacy will be shared with you. Acceptance of your order is based on the validity of your prescription and the availability of this medicine.